Long before the show was canceled, revived, and quoted word-for-word by your college roommate, Family Guy was just a highly anticipated new cartoon straight from the mind of a fresh-faced RISD grad with some wacky ideas. Now, thanks to the time machine known as the internet, we can relive those innocent days via the Fox Files profile of the Family Guy creator and star, Seth MacFarlane, which aired one week before the show’s premiere. With Family Guy currently in its fifteenth season, it’s bizarre to look back at a time when its characters and premise seemed fresh and cutting edge. Peter Griffin is described as “sort of an animated Archie Bunker,” while Stewie is marveled over for simply existing (a talking baby? with ray guns?!?). 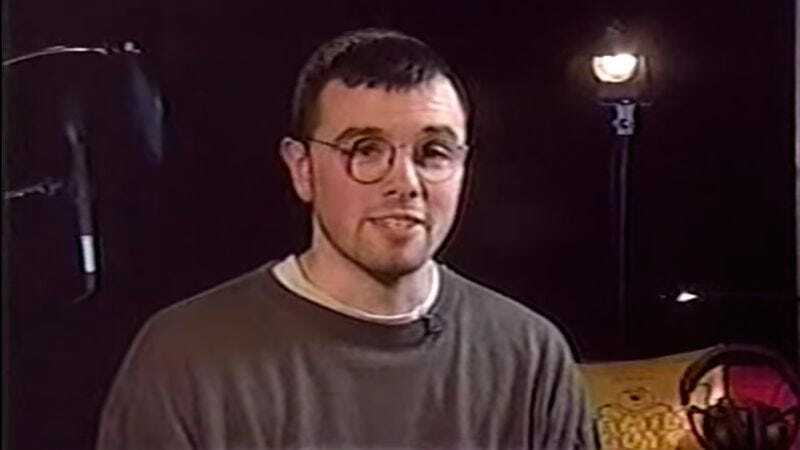 But, perhaps the weirdest part about taking this trip back to 1999 is seeing 25-year-old Seth MacFarlane, complete with Coke bottle glasses and Caesar haircut, earnestly excited that he’s been handed the keys to a primetime show and a deal for $2.5 million. Shamelessly described here as “the image of the ’90s Hollywood hot shot: young and rich,” MacFarlane has since become slightly older, a lot richer, and far more Hollywood. But the core of MacFarlane’s point of view and penchant for shock humor is as evident here as it is in the show’s more recent episodes. Included in the featurette is a visit to MacFarlane’s childhood home and an interview with his very proud mother, just in case you somehow missed that this guy is young. Oh, and also rich.